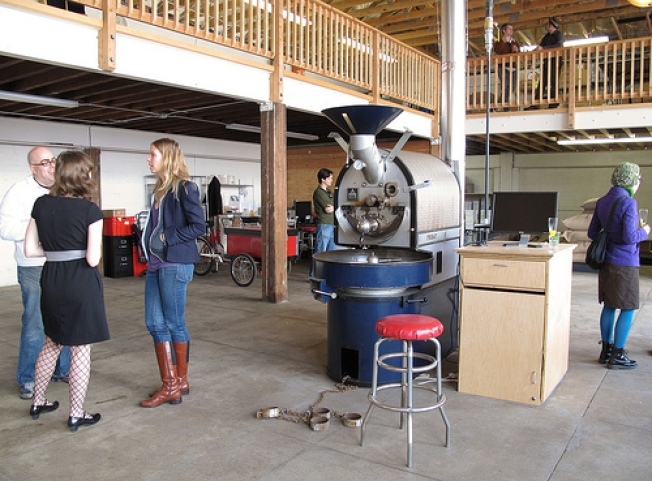 The inside of the new Ritual roaster in San Francisco. 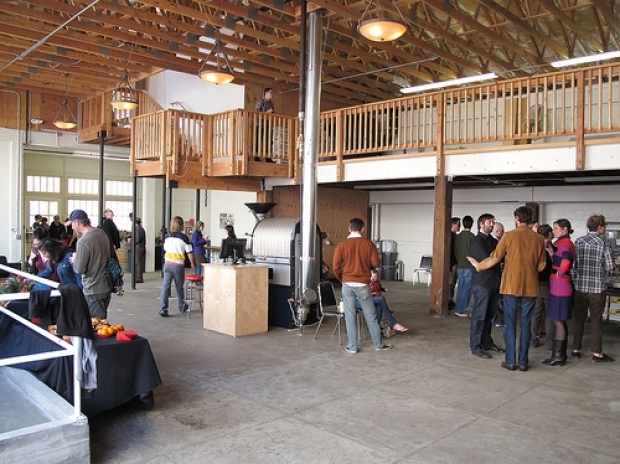 In recent years the Bay Area has carved out a reputation as being the epicenter of great coffee. At the forefront of the emerging scene is Blue Bottle Coffee and Ritual Coffee Roasters. Both have earned national headlines and opened their own state-of-the-art roasters while brewing some of the best coffee in the country. Their coffee is so good it forced GQ to send its apologies to Seattle as it named both Ritual and Blue Bottle as two of the best roasters in the country. 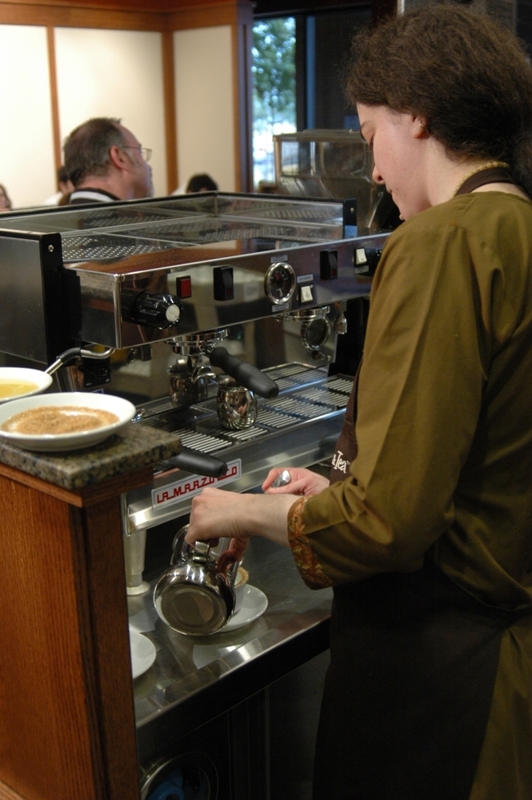 (The only Seattle coffee shop named was recognized partly because it uses machines from another San Francisco landmark: Cafe Trieste). Now after its latest feature in the New York Times, Ritual is keeping with its founder, Eileen's goal, of becoming "a well of information for the public about coffee and how incredible it can be." Ritual will host Alejandro Cadena and Giancarlo Ghiretti, of Virmax, the roaster's sourcing partner in Colombia for a discussion about the future of coffee and the impact 'quality-focused micro-roasters" are having on the industry. The smaller the world gets, the more connected we all are. And that’s a good thing for a million reasons. If you want to see this in action, come learn more about Colombian coffee, next Tuesday evening, we’ll be hosting Alejandro Cadena and Giancarlo Ghiretti, of Virmax, our sourcing partner in Colombia. They’ll tell us about the current state of coffee in Colombia, the work they’re doing to make it better, the impact of connecting small producers with quality-focused micro-roasters, like Ritual, and how it’s influencing the future of coffee in Colombia. The coffee party will go down at Ritual's coffee shop located at 1026 Valencia in San Francisco, Tuesday at 6 p.m.